On this tour, you’ll cross the Charles River and enter the City of Cambridge. Renowned as one of America’s most bicycle-friendly cities, you will experience the atmosphere and appeal of Cambridge as only possible on two wheels. Touted as “Boston’s Left Bank,” Cambridge is a hotspot of arts, technology, and academia. The tour is 2.5-3 hours long and covers 11-13 miles. 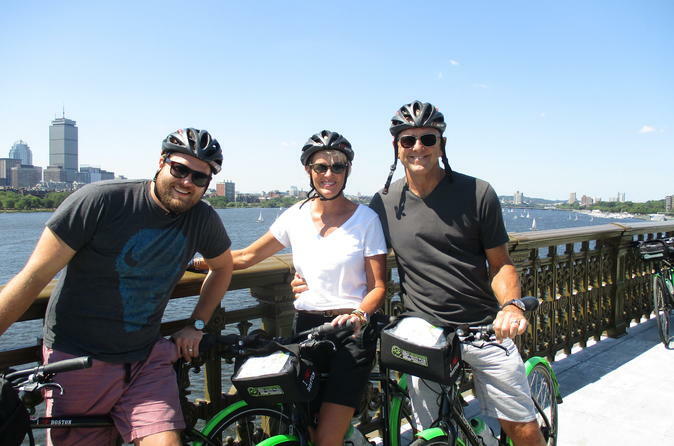 From the cycling paths on the Charles River to the booming industry of Kendall Square, this tour will show you the most exciting and vibrant parts of Cambridge!